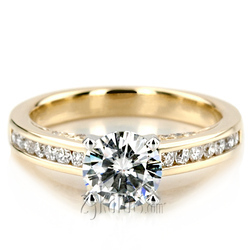 Contemporary meets classic look! 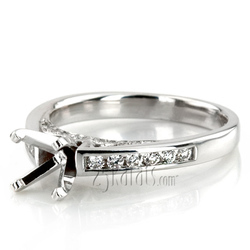 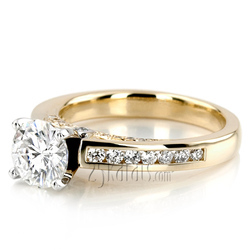 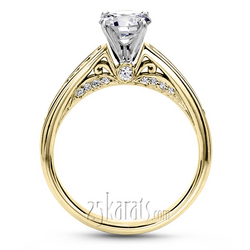 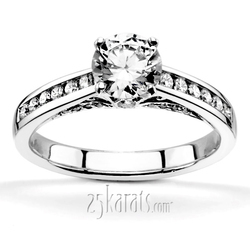 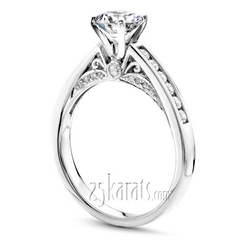 This channel setting engagement ring is enhanced with scroll design and pave set bridge. 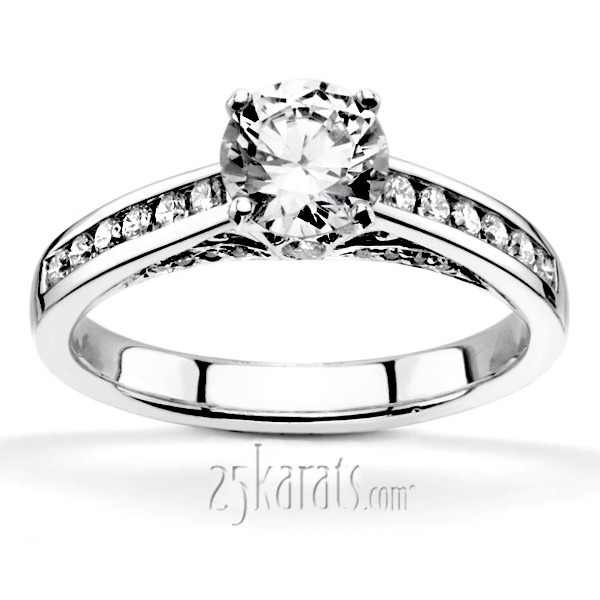 This beautiful style features 1/3 ct. t.w. 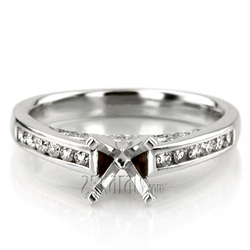 GH/SI diamonds. 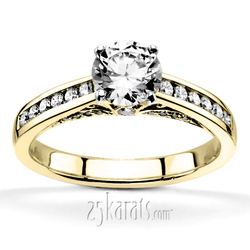 Available in 14k, 18k gold, platinum and palladium.